TELKOM HAS been announced as the headline sponsor for the inaugural Music Is King, so is international star and hubby to songstress Alicia Keys - Swizz Beatz, born Kasseem Dean. Going down December 15 at the TicketPro Dome, Jozi, the music fest is the brainchild of organisers Soulistic Music and U-Live, led by globetrotter DJ Black Coffee and ‘friends‘. 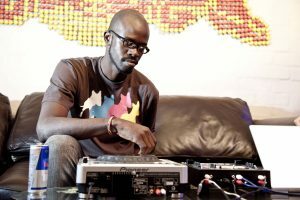 Music Is King founder Nthuthuko Maphumulo aka DJ Black Coffee and friends will pump and stomp the stages at the fest on Dec 15, TicketPro Dome, Jozi. Revelers will be entertained by various solo artist performances, collaborations and a special Black Coffee medley featuring a long list of great local and international talents in specially designed two sets of stages in the evening. Nigerian Burna Boy shares the stage with the likes of Thandiswa Mazwai, Shekhinah, Monique Bingham & Samthing Soweto, Black Motion, Mondli Ngcobo, Pansula, Ribatone and Mbuso Khoza. Also expect to feast your eyes on Moneoa Moshesh, Riky Rick, Lady Zamar Nasty C, Kenzhero and DJ China, renowned artists Moscow On Keys and pianist Nduduzo Makhathini, whom I met recently at the SanParks jazz/ orchestra music show in the Free State Province. The ‘Drive’ mega star has also handpicked artists such as Lungi Naidoo, Khensy, Msaki, Lindiwe Maxolo and Toshi. The online sensation Yolanda Nyembezi also joins the line-up. Music Is King merchandise will be available at the concert as well. Ticket ranges from R375 and both VIP, VVIP packages are now available online Web tickets for purchase. Its festive season, so let’s party up a storm- folks! !